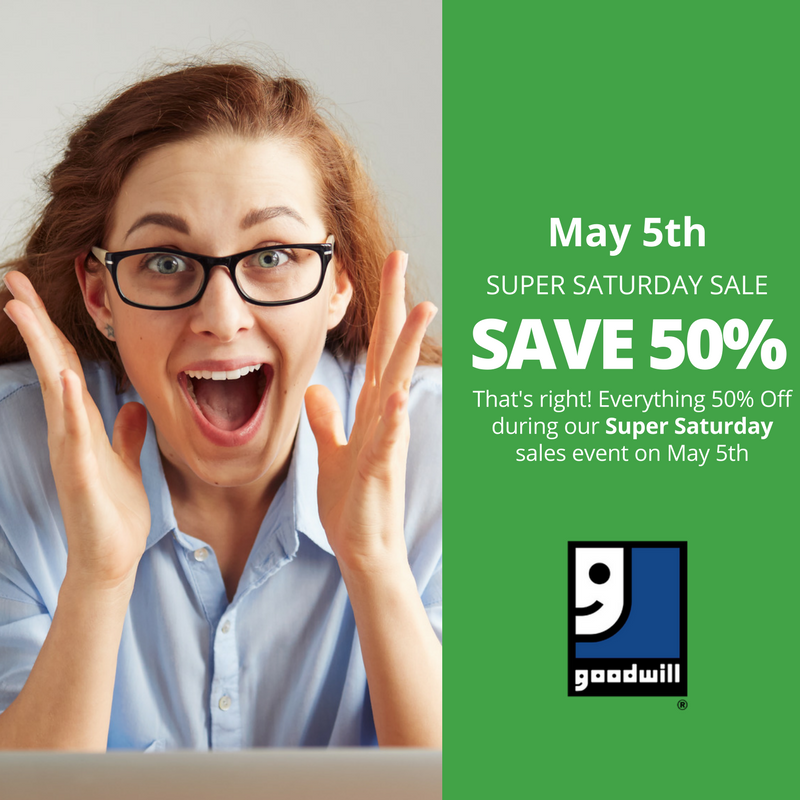 Frugal Workshop: Goodwill 50% Off Sale This Saturday! Image Credit Just a heads up to let everyone here know that Saturday is the monthly 50% off everything at Chattanooga area Goodwill stores. There are 17 stores in the Chattanooga area. Here is a link to the store addresses.